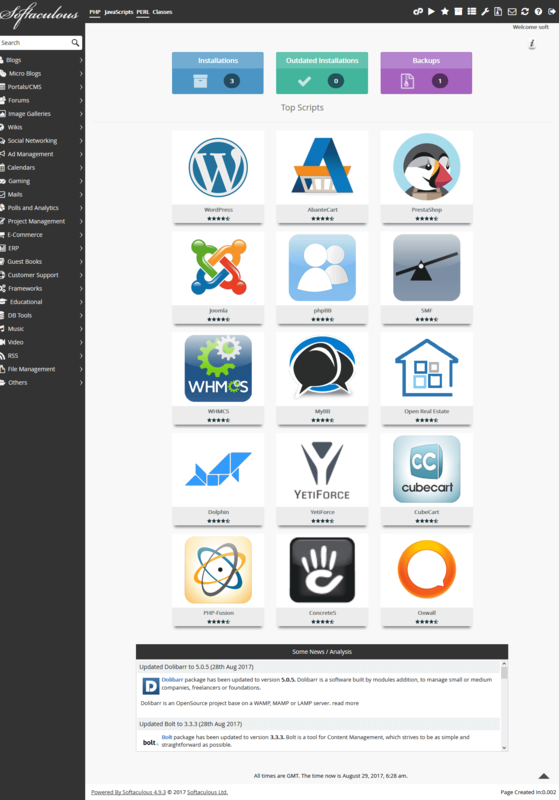 Browse and download about 450 to build your Website. 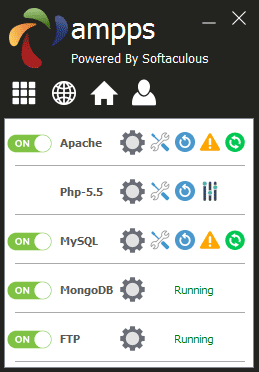 Look for apps by category, read user reviews, and Install apps in one simple step.Softaculous can be integrated very easily into Control Panels and One can also integrate Softaculous in their Custom Panel. 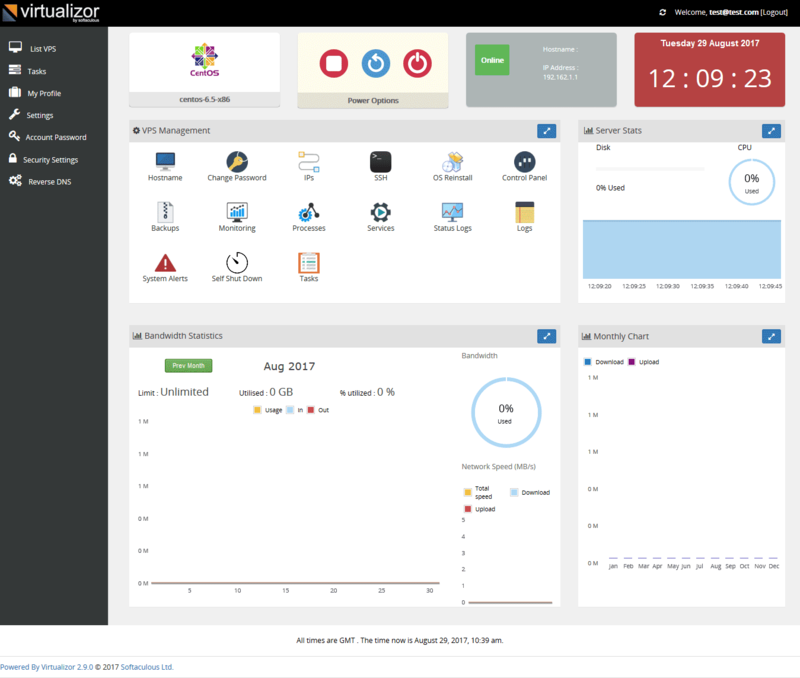 Webuzo helps you deploy Apps on your server, virtual machine or in the cloud. It has covered a wide array of Categories so that everyone could find the required application. 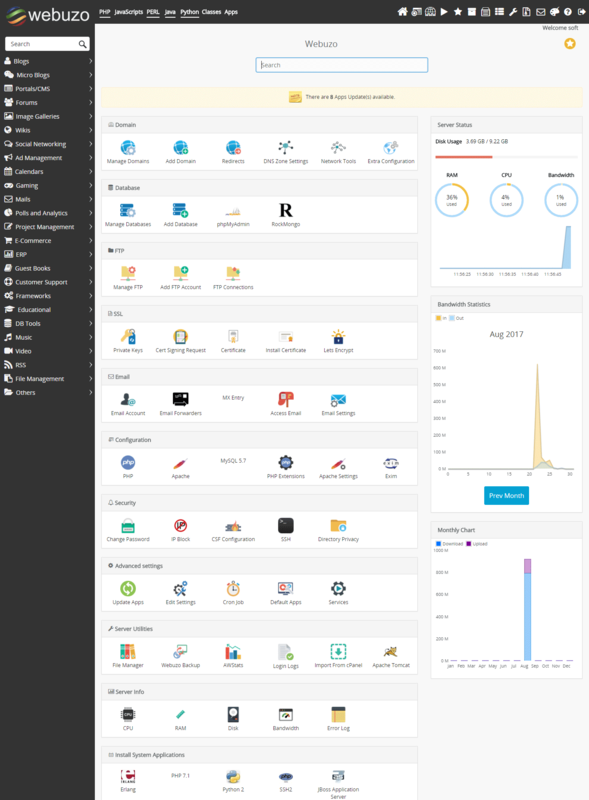 With Webuzo focus more on using applications rather than maintaining them.